In 1969 Florida, reporter Ward Jansen (Matthew McConaughey) returns to his hometown to write a story about death-row inmate Hillary Van Wetter (John Cusack), who was convicted of murdering a racist lawman. Ward hires his younger brother, Jack (Zac Efron), as a driver and, together with his partner, Yardley (David Oyelowo), gets to work. Though the possibility exists that Van Wetter is innocent, Ward and Yardley unwisely trust a vixen (Nicole Kidman) who will do anything to set the convict free. 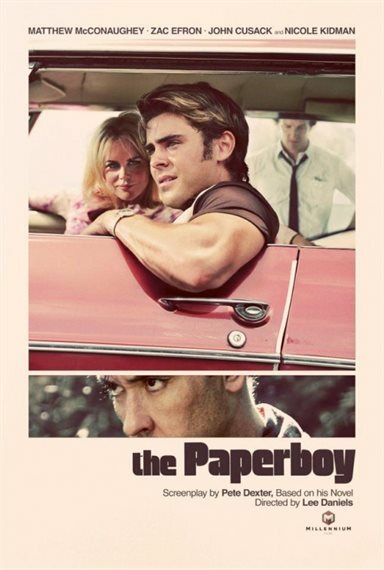 The Paperboy images are © Millennium Films. All Rights Reserved.